This annual ranking in it's 23rd year of the top staffing companies across the United States for 2018 highlights 143 companies that generated at least $100 million in US staffing revenue in 2017. Added together, these firms generated $83.6 billion in such revenue, making up 58.6% of the market by our estimates. Industrial and IT skill segments were the largest temporary staffing skill segments by revenue for 45 and 44 companies. Healthcare was the largest skill segment for 26 firms, with 12 of those companies offering travel nurse staffing as their largest segment. Remaining firms noted the following segment as their largest: engineering (9 firms), retained search (6 firms), clinical/scientific (3 firms), education (2 firms) and marketing/creative (2 firms). Fifteen companies that generated $1 billion or more in US staffing revenue last year are on the list. Added together, these companies generated $48.7 billion in such revenue, making up 34.1% of the market. 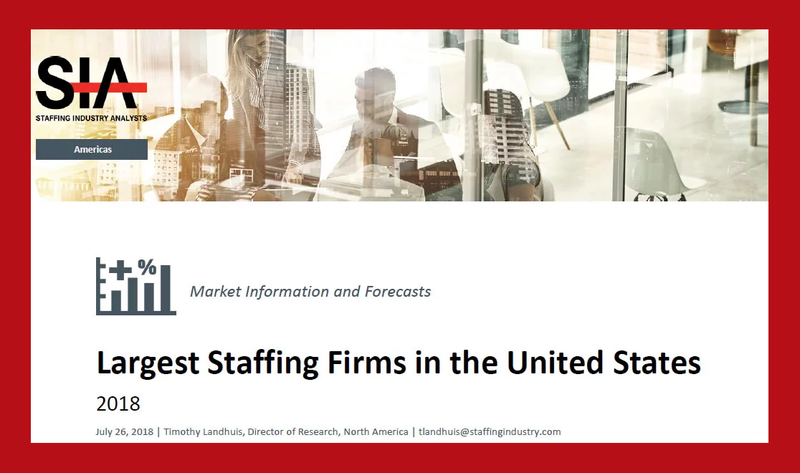 For more details on this list and key statistics visit Staffing Industry Analysts press release on this list for the Largest Staffing Firms with revenue over $100 million here. 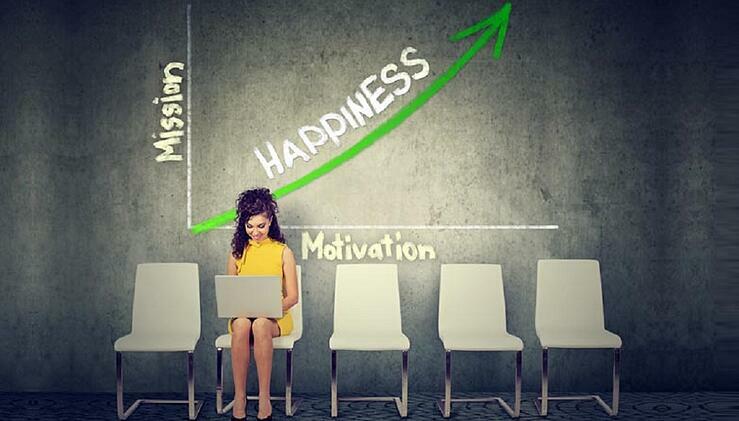 The report notes the favorable economy has increased revenues for staffing companies across the board in organic sales initiatives and strategic acquisitions. V-Soft Consulting has again been ranked among the largest staffing firms in the United States by the Staffing Industry Analysts; the leading global advisor on staffing and workforce solutions. 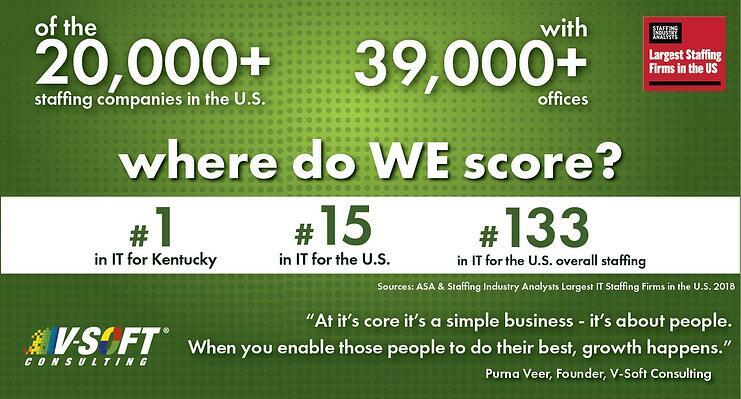 Here are the highlights of V-Soft, a Louisville, KY based company with local and national rankings. Here's a corporate overview of SIA, a global advisor on staffing and workforce solutions form their website found here. 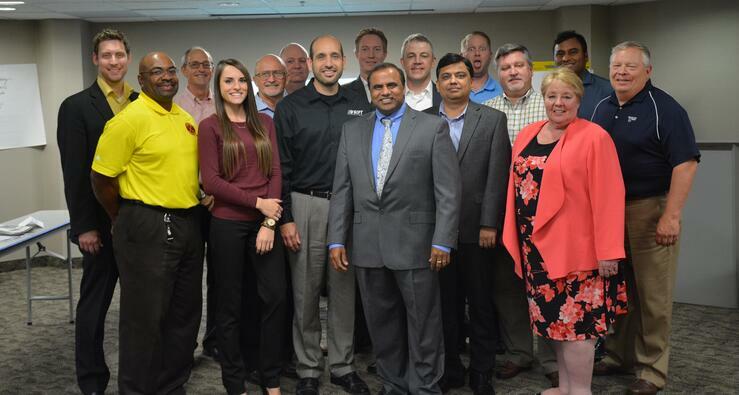 Founded in 1989, SIA is the global advisor on staffing and workforce solutions. Our proprietary research covers all categories of employed and non-employed work including temporary staffing, independent contracting and other types of contingent labor. 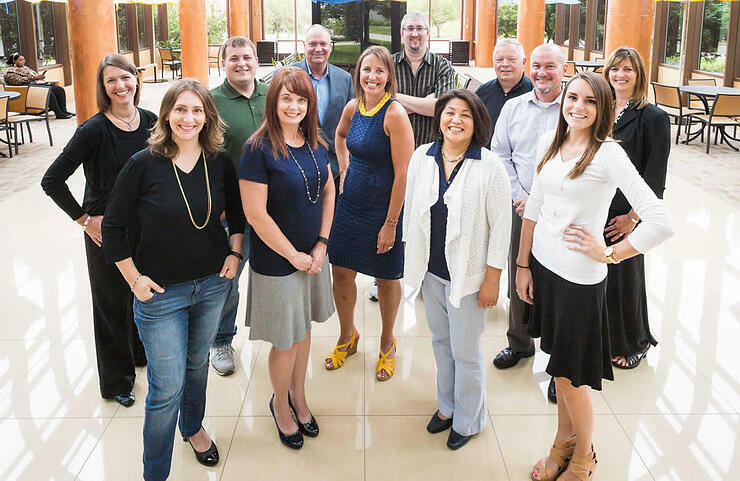 SIA’s independent and objective analysis provides insights into the services and suppliers operating in the workforce solutions ecosystem including staffing firms, managed service providers, recruitment process outsourcers, payrolling/compliance firms and talent acquisition technology specialists such as vendor management systems, online staffing platforms, crowdsourcing and online work services. We also provide training and accreditation with our unique Certified Contingent Workforce Professional (CCWP) program.